I’ve got another author interview on the blog today (I know, I’m spoiling you all at the moment!). This week it’s fellow HQ DigitalUK author, Jennifer Bohnet and as an extra bonus, her ebook is down to 99p so you’d better get to your copy quick! 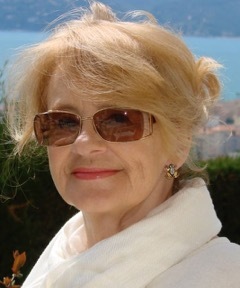 Hi Jennifer, welcome to the blog, tell me a bit about you and your latest work. 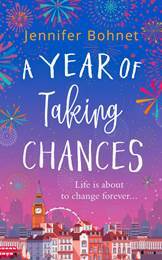 A Year of Taking Chances is about what happens when two friends make a resolution to change their lives and find themselves separated by the English Channel. Tina finds herself staying in London as Jodie moves away to the south of France with the man of her dreams. Both have to face setbacks in the coming year family secrets being uncovered for Jodie and Tina learning once again love is not straight forward. Believe in yourself; switch off the internet when you’re writing; read, read and read. I’m a real mixture these days. A germ of an idea will occur, I’ll start to think about setting and characters and sketch out what could happen to them. Several of my books have three or four main characters whose lives are connected in some way and I find once I’ve pantisised (not sure that’s a real word!) my way into about the first 10K words I have to start doing things like time lines and plotting otherwise I get into a dreadful muddle. Some characters come ready named in my head but others are difficult. I have several baby name books and I also make a note of any different names I find in the papers or in the credits of tv programmes. Umm, swear a lot? Walk away for an hour and then come back and do some free writing around the particular problem I’m having. Usually works. I start off with a pen and a notebook but by the time I’m about 30K into the story I mostly write on the computer. I love having friends over for impromptu lunches, I read a lot and every day we take our rescued collie dog Django for a walk in the countryside that surrounds us here in Brittany. Winter as it turns into Spring! I’m English but I’ve lived in France for nearly 20 years. After 11 years down on the Cote d’Azur where Richard was a guardien for a villa, we moved from the Mediterranean coast to a small quirky cottage in Finistere, Brittany. A bit of a culture to say the least! Two of my books Rosie’s Little Cafe on the Riviera and The Little Kiosk By the Sea have been Amazon bestsellers and in the Top 10 of the Booksellers Heatseekers chart. When I’m not writing I love reading, cooking and having friends around for lunch – lunches that follow the French tradition of lasting for several hours.